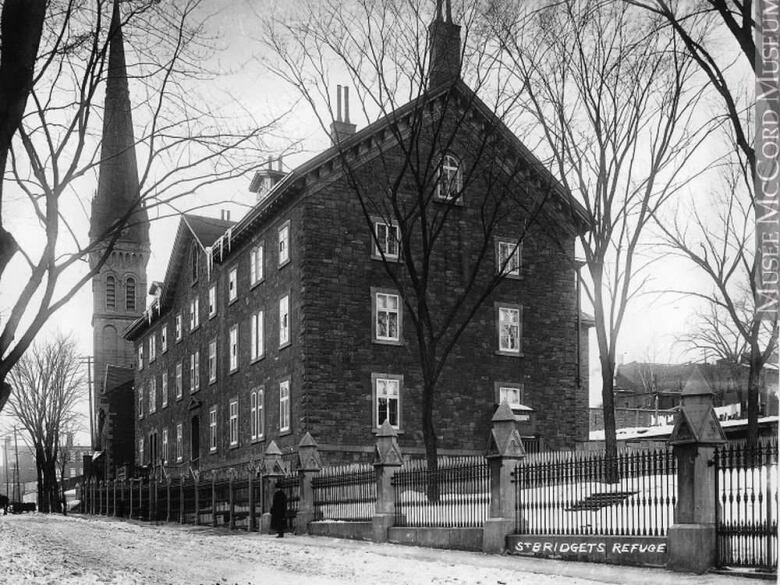 Some members of Montreal's Irish community are voicing concerns about a new construction project — one slated to take shape right on top of the old foundation of St. Bridget's Refuge, a 19th-century shelter for down-on-their-luck women. 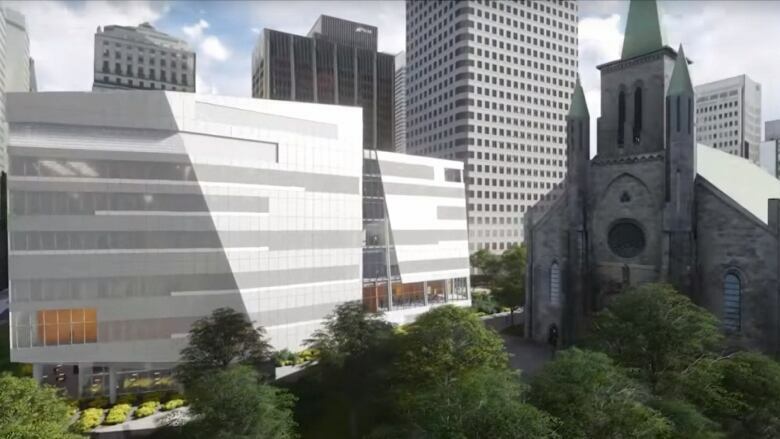 The lot, currently a green space located next to St. Patrick's Basilica at de la Gauchetière and Beaver Hall streets, will be the site of Université de Montréal's new wing of its HEC business school. The University announced earlier this spring that it had purchased the lot from St. Patrick's and would be starting construction on its new pavilion there. But locals are cautioning that it would be a mistake to completely obliterate all traces of St. Bridget's Refuge, an important cultural site for Irish Montrealers. "Just in that first 20 years that it was in operation, more than 200,000 people used the service at a time when the population of Montreal wasn't nearly as big as it is today," said Fergus Keyes, director of the Montreal Irish Memorial Park Foundation. Built in the 1860s, it was a shelter for Irish immigrants and later served as a seniors' home. The building was ultimately torn down a little over a hundred years later, and the green space is used as a community gathering space. 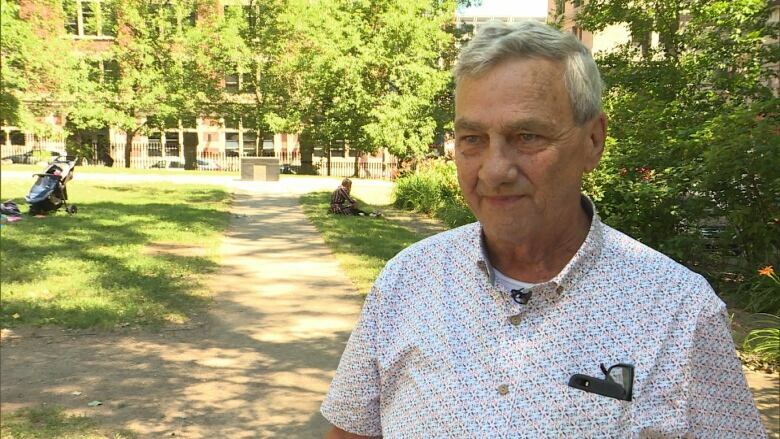 Keyes told CBC he understands why St. Patrick's needed to sell the land, but he hopes that the developers will take stock of the land's significance going forward. "I think they have a little bit of an understanding. 'St. Bridget's was here and it did something. It had some cultural significance.' But a little bit. I don't think they understand the in-depth." For its part, the business school says it will include a commemorative element recalling the site's history on the exterior of the new building. "We plan to retrace the foundations of St. Bridget's Refuge on the ground both inside and outside our building and to use some of the stones from the existing foundations to partially rebuild the walls," reads a statement put out by the school Monday. 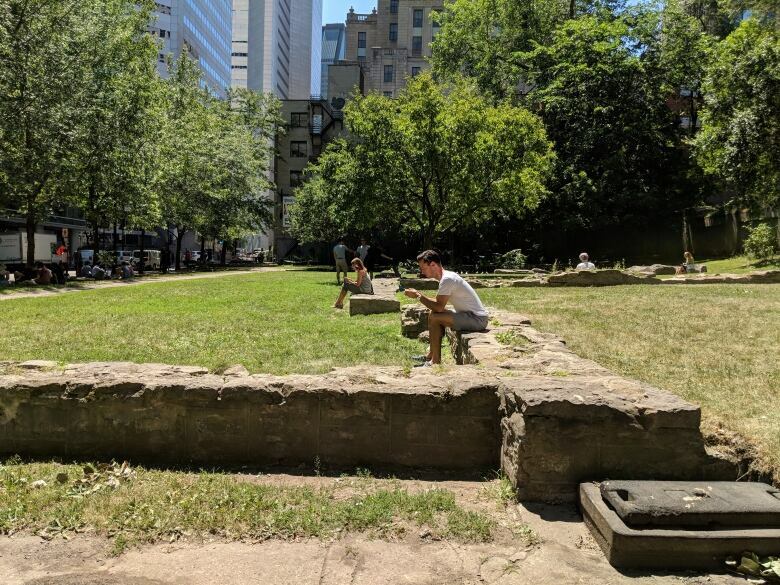 They also note that the property is not a classified as a heritage site and that the provincial Culture Ministry and Heritage Montreal are "satisfied" with the project proposal. Another concern raised by some locals is that the construction will mean a loss of green space for the neighbourhood. Phil Chu, who lives right downtown, told CBC that the space is regularly used by people as a sort of unofficial park. "It's like an urban jungle around here. There's construction left and right. 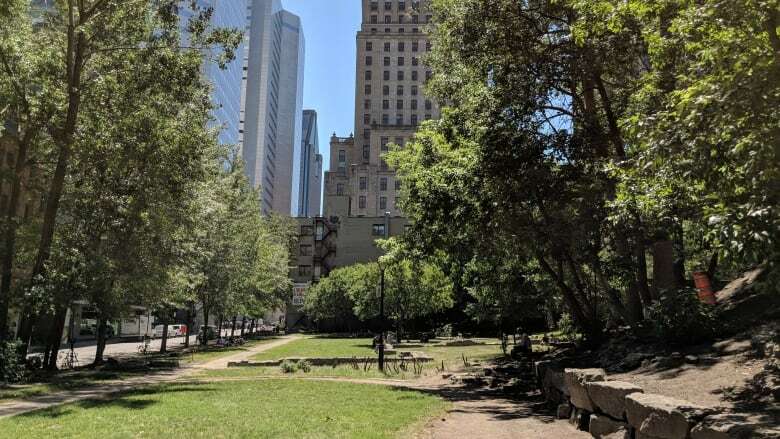 This is probably the only green space that's in the neighbourhood," Chu said, who is also part of a group of residents lobbying to save the ruins.